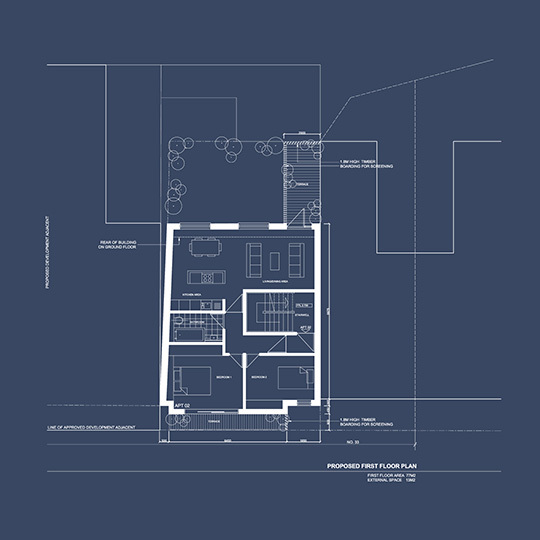 IPTA were commissioned to produce a residential scheme of four apartments within the constraints of a tight urban site. 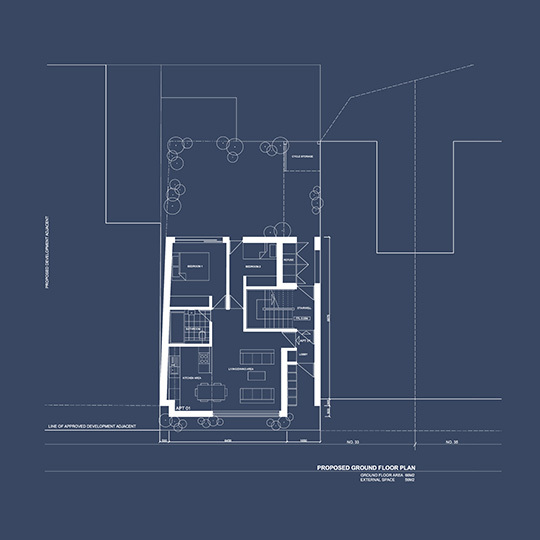 We obtained planning approval for the new building, which will mediate between a modest two-storey terrace house and a new five-storey development that has been granted planning approval. 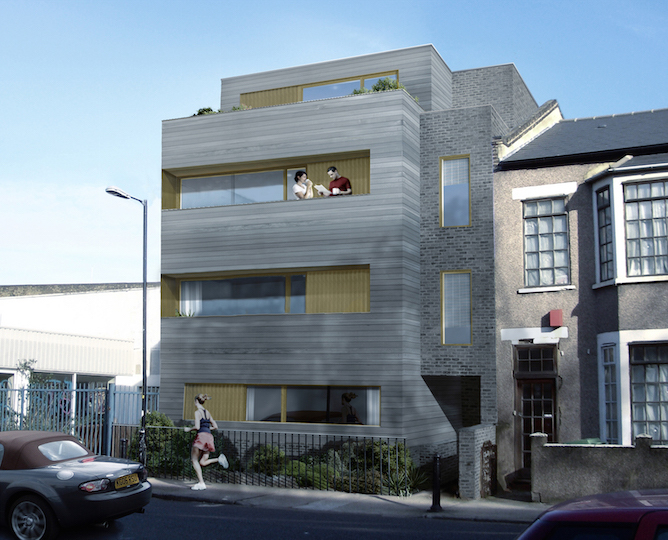 The scheme has a grey brick and silver weathered timber elevation, punctuated with recessed terraces and with bands of primary coloured panels following the lines of fenestration.